The encounter occurred in Abujhmad area of the district, about 400 km south of Raipur and some 60 km away from the Narayanpur district headquarters. 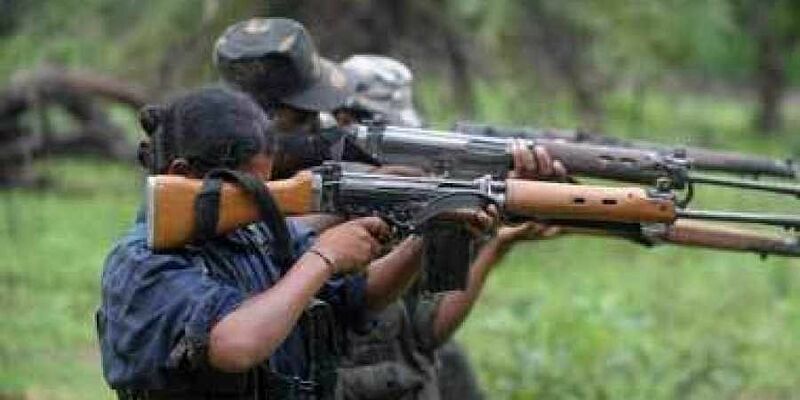 RAIPUR: Four armed Maoists, including a woman fighter, were killed in a gun-battle with the security forces near Gumiyabeda village on Sunday at Narayanpur district in south Chhattisgarh. "We had inputs about the movement in the region following which we sent a team of District Reserve Guards (DRG) for the search operation. At about 2 PM, the cadres after taking a meeting in one of the villages were moving to another tribal hamlet when they were confronted by the DRG team. In the ensuing gunfight that continued for over an hour, four Maoists were killed. We have recovered the bodies," Narayanpur superintendent of police Jitendra Shukla told TNIE. Three of the Maoists killed were in naxal uniform. The DRG seized four weapons, including one INSAS rifle, one .303 rifle and two 2 bore rifles, some ammunition and one IED. There was no report of any casualty sustained by the forces. Shukla complimented the DRG team in ensuring that the villagers, who were not far away from the Maoist group, remained unharmed. So far, 95 Maoists have been killed in Chhattisgarh this year. In Narayanpur itself, as many 10 cadres of the Red brigade were eliminated by the security forces.